A survey conducted by global children’s charity Save the Children has revealed that 8 in 10 teachers think that investing more in early year’s education would lead to improved primary school results. Out of the 504 primary school teachers that were surveyed, 79% believed that by investing more in nursery and pre-school provisions, it would reduce the number of children starting primary school without the basic speech and language skills they need to help them learn. The survey also revealed that 75% of teachers found that some children arriving in Reception were struggling to speak in full sentences. 81% of teachers who completed the survey reported seeing that children starting school were struggling with reading words or sentences and that 65% of them were witnessing children experiencing difficulties following simple instructions. The data that Save the Children has collected from the survey backs their call for the Government to invest more in nurseries so that all childcare settings can employ at least one early year’s teacher by 2020. Teachers who took the survey also talked about the impact the children’s poor language and speech skills had in the classroom, saying that 8 in 10 of them have had to spend extra time with pupils, which takes time away from the other children. 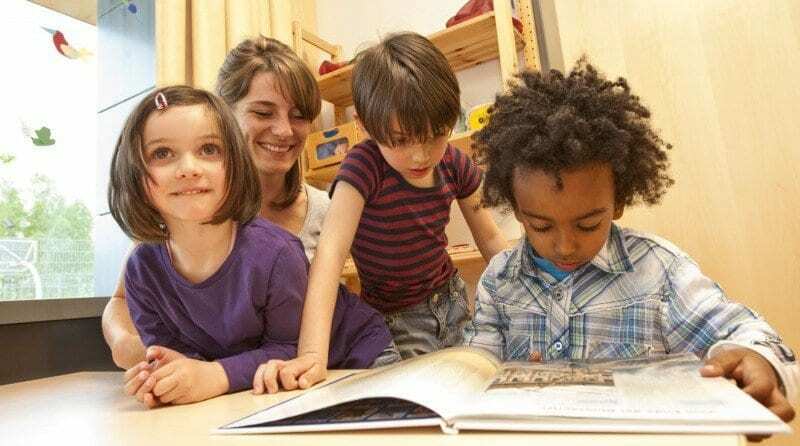 The NDNA (National Day Nurseries Association) has also called for the Government to invest a greater amount into early years education, stating that the Early Years Pupil Premium is much lower than the pupil premium that primary school children receive. Chief executive of the NDNA, Purnima Tanku, has said: “Investment in high-quality early years education reaps great rewards for children and society generally, with the biggest return on investment from starting early, particularly for the most disadvantaged pupils. “It’s not good enough to wait until children are at school and already falling behind their peers. Early literacy and communication skills are fundamental to later success in life. And yet the Early Years Pupil Premium (EYPP) is just £300 per pupil, which is pocket money compared to the primary school equivalent of £1,320. As in many areas, the Gov’t appears to regard children of Nursery age, and the needs of the educators, to be ‘solvable’ by giving relatively small amounts of funding. This does not only apply to the Pupil Premium, but also to EEF funding. It affects Private, Voluntary and Independent – PVI – (Nurseries, Childminders and Playgoups) more than it does school-based Nursery provision, as the ratios for children:staff are much lower – PVI settings have, for example, an 8:1 ratio for 3+ year olds, whereas school nurseries have a 13:1 ratio. The funding for ‘in need’ 2 year olds has also recently been reduced, in spite of the fact that there is a 4:1 ratio in force. The £300pa pupil premium will only pay for a small amount of specialised equipment – and certainly does not help with the specialist staffing required for children with Downs, Autism, Language / Behavioural difficulties etc, or the extra time spent writing reports and plans and attending multi-disciplinary meetings, which they need to do for Statementing purposes. When we had a (full time) child with Autism (high on the scale, so needed a ratio of 1:1) we were paid around £6ph for 15 hours pw, Term Time only, to help with employing a specialist, who actually cost us £10ph, plus national insurance contributions, all year round. As this child’s needs were severe, we also employed the specialist for between 30 – 40 hours pw – which meant that we were seriously out of pocket! Now the Govt are expecting settings to provide 30 hours pw of entirely free childcare – at the moment only for children with extra needs, but will this be extended to all in the future? – whilst expecting PVI settings to, yet again, part-fund this. We get lots of applications for our (2 only) completely free 15 hour places for 3 year olds – but as soon as we inform the parents that we can only offer 7.5 hours on Mondays and Fridays as the other 3 days are fully booked, they immediately lose interest!